Here we go again. It was around this time last year that I published 270 words at ErieReader.com calling into question the ethics of the Erie Regional Chamber and Growth Partnership's campaign to collect money from the citizens of Erie for a "Boom Over the Bay" fireworks display, using the Erie Community Foundation's "Erie Give's Day" as its fundraising mechanism. Needless to say, I was underwhelmed to learn that the ERCGP was once again initiating a campaign to raise money for fireworks through Erie Gives Day, which will be held on Tuesday, Aug. 11. Erie Gives Day provides an annual injection of capital to regional 501(c)3 organizations that are either a member of The Nonprofit Partnership or have an Agency Endowment with the Erie Community Foundation. The day of giving began in 2011. From 8 a.m. to 8 p.m. people can donate $25 or more to a nonprofit of their choice. Donations can be made online at ErieGives.org. Last year 5,465 individual donors gave $2,271,693 including prorated matching funds from The Erie Community Foundation, GE Transportation, Erie Insurance, and Presque Isle Downs & Casino. Recipient organizations range from schools and museums to soup kitchens and safe harbor locations for victims of domestic violence. In short, there are some very worthy organizations that rely on Erie Gives Day to help make operating budgets whole. Last year the Chamber asked the community to pony up $40,000, but fell woefully short of that goal. Last year the Chamber asked the community to pony up $40,000, but fell woefully short of that goal. Scott Enterprises pledged $5,000 in seed money and other contributors collectively gave $3,366.25. 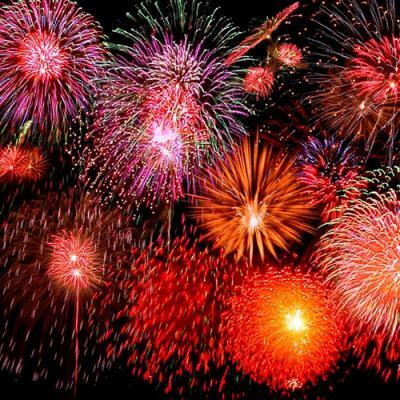 Nevertheless, the Chamber managed to find a partner for its fireworks in the Flagship Niagara League. The bay boomed once more. But the issue has never been about fireworks. Rather it's the fact that an organization comprised of many of the region's leading businesses would siphon much needed funds away from the regions culturally-centered and social service-oriented nonprofit groups in order to fund a fireworks display that could easily be supported by a small partnership of a few key community-minded members of the ERCGP. Moreover, the fact that we must revisit the very same episode on an annual basis is a high-definition illustration of the lack of creative thinking that permeates economic policy and socio-political agendas throughout the region. In twelve months since failing to meet its funding goals in 2014, the organization spent no time thinking about creative solutions to a relatively simple problem; relatively simple, that is, in comparison to gun violence and job creation. It's problems like these – symptoms of poverty, hopelessness, and other endemic economic plagues – the ERCGP could participate in solving if it only committed to its "core mission of providing the leadership to attract, retain and expand business in the region." That would be, once again, worthy of a fireworks display.